(Electrical/Civil), Aviator-I & Motor Transport Assistant, Grade 'A'. So Interested Candidates Are Requested To Apply For This Job Through Offline Mode Within The Given Time Period, I.e 13th Of May, 2019. Motor Transport Assistant, Grade 'A'. Total Number Of Vacancies →17 Vacancies, Kindly Do Check Out The Image Below For Eligible Criteria & How To Apply & Last Date For Offline Application Form Submission. 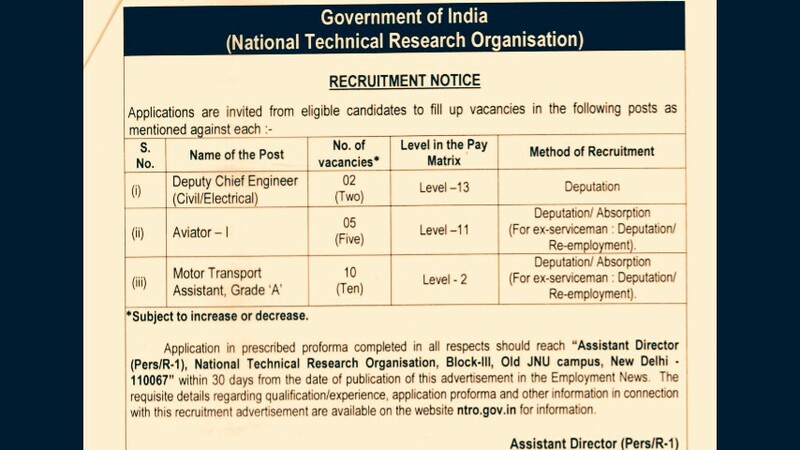 Now Apply For This Job Of NTRO Recruitment 2019.